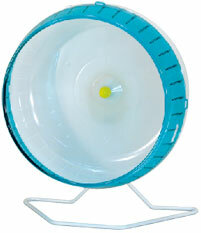 The Leap-N-Ledge 6.5"L x 3.5"W is a lofty look-out perch that easily attaches to the side of any wire home. 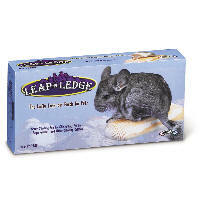 Be sure to supply your pet with several Leap-N-Ledges because Chinchillas and Sugar Gliders especially love to hop from one ledge to the other. Leap-N-Ledges are made of all natural, untreated wood creating a perfect spot for your pets necessary chewing activities. The Sleep-N-Ledge is our new giant version of the Leap-N-Ledge. Sleep-N-Ledge is 7" wide to provide pets with a lofty ledge is perfect for looking, leaping or lounging around. Sleep-N-Ledge includes 2 sturdy chew-proof brackets for safe attachment to any wire home. 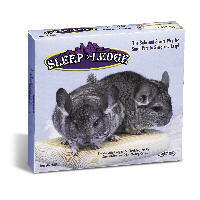 For tons of fun, use more than one Sleep-N-Ledge in a pet's home or combine Sleep-N-Ledge with Leap-N-Ledge for variety. Sleep-N-Ledges are made of all natural, untreated wood creating a perfect spot for your pets necessary chewing activities. 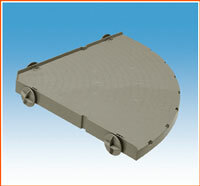 Size: 180×180mm, 2 piece set. Safe for yr chinchilla and rabbits. Choya (cholla) is a dried cactus wood collected from "dead & down" plants in the deserts of Mexico & the southern United States. NO CHEMICALS HAVE BEEN USED ~ 100 % NATURAL. Safe fibers for your pets. 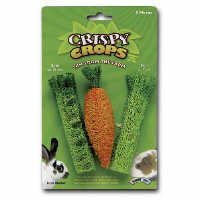 Great for all small animals like rabbits,hamsters, guinea pigs, gerbils, mice, rats, chinchillas and other small animals. Comes in assorted sizes. 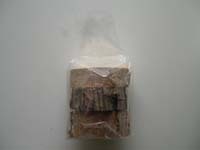 Mixed of natural pecan, mulberry and elm chews wood (size approximate 2" width and 1" thick each type). Create and hang them for yr small pets like chinchilla and rabbits. These Balls/Rings are made entirely from willow with no chemical. The outside diameter of the large size ring and ball is about 3"; Small size is abt 1.5" diameter. A bunny/guinea pig/chinchilla/ rat/mouse/hamster couldn't ask for more. 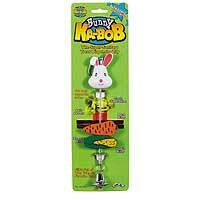 Give your favorite bunny a chew treat in style with a Bunny Ka-bob! The new 3-D design features the face of your favorite furry friend. Each Ka-bob comes with two FREE pieces of wood chews! The twist-off end allows you to add or replace any of Super Pet's exclusively drilled Wood Chews, Salt Savors, and Lava Bites. Ka-bob's come with a clip that easily connects and secures them to any wire cage. In addition to all the different cool chews Ka-bobs can hold, each Ka-bob comes with a big silver bell on the end so you can hear your bunny having fun! This toy combines natural bark covered wafers with chewable popsicles. 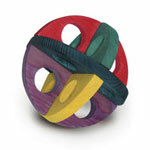 Roll 'N' Chew (Size: 4"L x 1.5"W x 4"H) is a wooden chew toy that is love at first bite for any critter. Pets can play in it, chew on it, or just hang out! Small pets can push and play with the Roll 'N' Chew as it provides hours of fun exercise for pets. Roll 'N' Chew is available in two easy to assemble sizes to provide exercise and maintain clean and healthy teeth for all pets. Crispy Chews are made of tasty all natural, dried vegetable slices and are the crunchy way for small pets to clean their teeth. 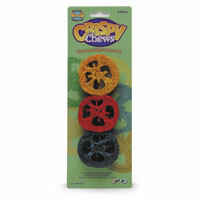 For the ultimate chewing experience, place Crispy Chews on Super Pet's Ka-bob treat dispenser and hang in any wire cage so your critter can nibble and play with the Crispy Chews all day. 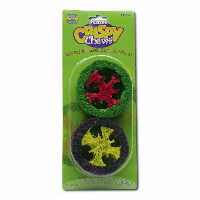 These fun chews are available in two different color assortments including red, yellow, blue and green, yellow, orange. Cholla Chews are real sun-dried cactus chews for small animals. 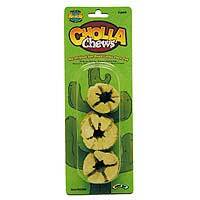 Cholla Chews are an all natural chewing source that are perfect for Rabbits, Guinea Pigs, Chinchillas, Hamsters and other critters. Your furry friend can keep its teeth in super shape by gnawing on these Crunchy Chews. Each pack comes with three Cholla Chews and every chew has a hole in the center so you can place them onto any Super Pet Ka-bob treat and chew dispenser. 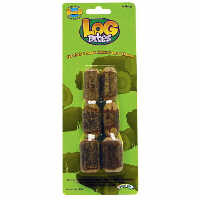 Log Bites are a natural wood chew with a crunchy bark crust that critters love to chew. Log Bites are an all natural chewing source that are perfect for rabbits, guinea pigs, chinchillas, pet rats, hamsters, gerbils, mice and other critters. Your furry friend can keep its teeth in super shape by gnawing on these crispy bites. Each pack comes with four large Bark Bites and every bite has been individually drilled so you can slide them onto any Super Pet Ka-bob treat and chew dispenser. Critters can't resist these tasty bark covered twigs made from all natural fruitwood. 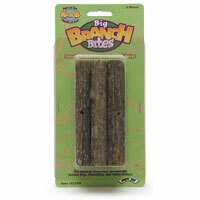 Big branch bites are the natural chew treats for rabbits, guinea pigs, chinchillas and other critters. Slide them onto the Super Pet Ka-bob for a fun chewing activity! 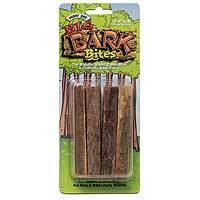 Bark Bites are a natural wood chew with a crunchy bark crust. Bark Bites are an all natural chewing source that are perfect for hamsters, gerbils, mice and other little critters. Your furry friend can keep its teeth in super shape by gnawing on these crispy bites. Each pack comes with 4 Bark Bites and every bite has been individually drilled so you can slide them onto any Super Pet Ka-bob treat and chew dispenser. 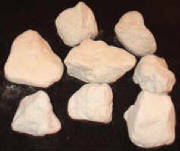 A great natural nibble stone for yr chinchilla and hamsters. 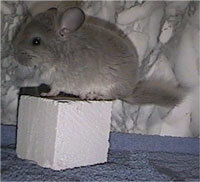 Nibble Block for yr chinchilla and rabbits. 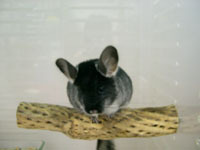 A high calcium supplement for yr pregnant chinchilla. 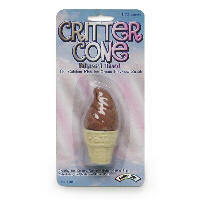 Critter Cones is the mineral treat that looks and smells like real ice cream. 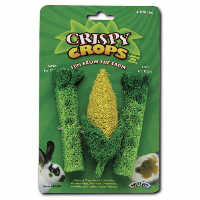 It is crunchy, creamy, calcium-rich fun for rabbits, guinea pigs, chinchillas, pet rats and other pets. 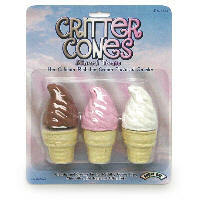 Nutritious Critter Cones look and smell like real ice cream and are available in three fabulous flavors: Stupendous Strawberry, Chilly Vanilla, and Cabana Banana. Fulfills your pets natural urge to chew and therefore supports the well-being.